Tuesday 12 December 2018 is a day to remember. It was a day many of us who grew up in Samoa thought we would never see. A day when two of the biggest pillars in Samoa, the Church and Government, collided in the corridors of justice sending out a shockwave to the rest of the country with the burning question of what has happened to Samoa? It is a day that would go down in history when church Ministers, who are regarded as “ao o fa’alupega” were shown the ultimate sign of disrespect and dragged to the Court by an all powerful Government whose thirst for money now officially knows no boundaries. To be frank, it was a sad day; one many of us had quietly hoped would not come, especially in a Christian state like Samoa. Alas it wasn’t to be. Today, we’ve gone beyond the mark of compromise; we’re now in the territory where it is the church’s word against the government. Needless to say, we have entered new waters, ones that have never been tested before. This is why Tuesday this week will forever be etched in the collective memory of this nation. The images from the Court will remain with us, they are enduring. It all started a few years ago when Prime Minister Tuilaepa Dr. Sa’ilele Malielegaoi’s administration announced their plan to tax the Head of State and the alofa of Church Ministers. They argued that everyone must contribute to the development of Samoa through paying their taxes. They added that it was the right thing to do. 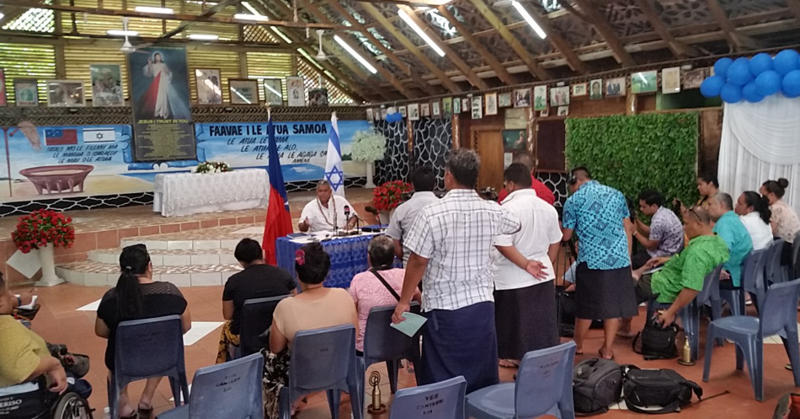 As it happens in a one-party state, no one could argue against it so the law was introduced and passed despite strong opposition from the biggest denomination in the country, the Congregational Christian Church of Samoa. Last month, one of the most disturbing developments was announced by the Minister of Revenue, Tialavea Tionisio Hunt. It involved the filing of charges against C.C.C.S. Ministers for failure to pay their taxes. In making the announcement, Tialavea said the Government is not taking a backward step. On Tuesday, nine Church Ministers – accompanied by hundreds of church members – fronted up in the District Court before Judge Talasa Lumepa Atoa Sa’aga. The Church Ministers charged are: Reverend Amosa Reupena, Rev. Enefatu Lesa, Rev. Fa’asalafa Vitaoa, Rev. Ioane Petaia, Rev. Lavilavi Soloi, Rev. Petaia Leavai, Rev. Poasa Toiaivao and Rev. Semikueva Fa’atoafa. Each one of them is facing two counts of failure to withhold tax and failure to file wage tax returns. 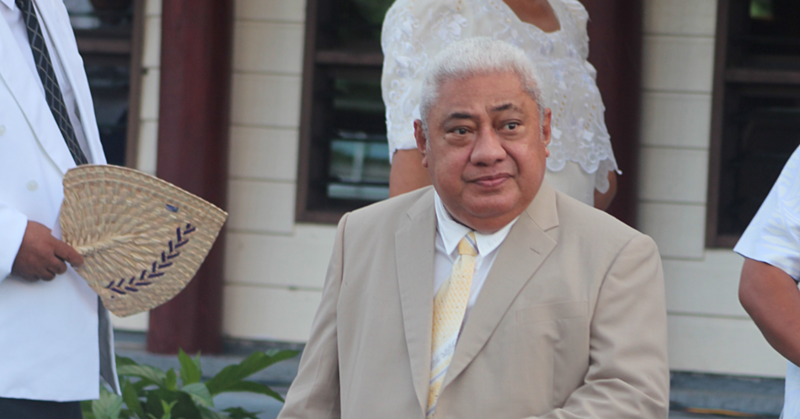 The Ministers were represented by lawyer, Alex Su’a, who asked the Court for an adjournment. Su’a also asked the Court to waive the bail condition for his clients to surrender their travel documents. “I also refer to the charges—which are not serious charges—the penalty is 10 units and I also discussed it with my lawyer friend—and he does not have any objection and we will advise the Court if there are any travels,” Mr. Su’a said. The lawyer representing the Ministry of Revenue, Alesana Tumua, did not oppose the application. Outside the Court House after the hearing, the Church’s General Secretary Reverend Vavatau Taufao addressed all their supporters, thanking them for their prayers and support. The matter has been adjourned until next Tuesday. In the meantime, have a safe Thursday Samoa, God bless!